All None homes currently listed for sale in Wellington as of 04/19/2019 are shown below. You can change the search criteria at any time by pressing the 'Change Search' button below. "NEW CONSTRUCTION . Key West inspired ocean front estate. This high elevation home boasts 100 feet of ocean frontage with unique eastern and southern facing ocean views. Home features 7 bedrooms, 7 full baths, 1 half bath, 8300 square feet under air, 11442 total square feet. Large open floor plan with movie room, office, roof top deck with 180 degree ocean views and western facing views of 75 foot lap pool with vanishing edge visible from all angles inside the house." "pre construction in design now, get in early and pick your options. This ultra modern single story homes sitting on 3.8 acres has 277' on the water and is nestled within its own private nature preserve. The last large estate lot left in the area. Home is being built by one of the premier builders in the area All sizes and measurements in listing are estimates, please call for more details." 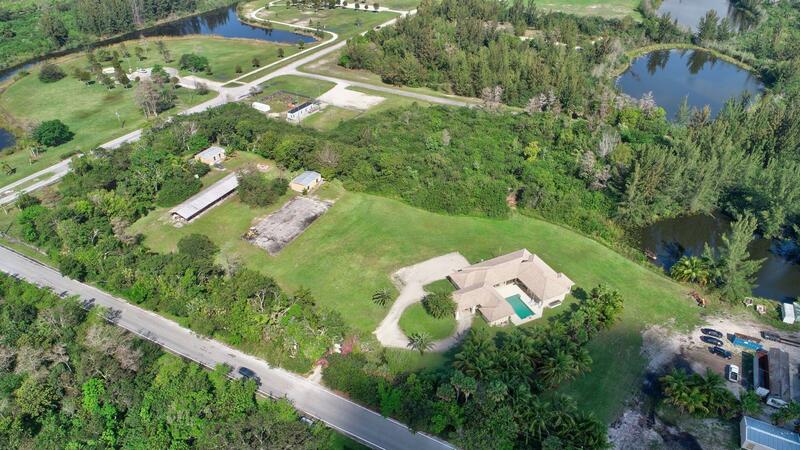 "SPECTACULAR, UNIQUE AND ONE OF A KIND PROPERTY LOCATED AT THE ENTRANCE INTO THE COUNTY PARK AT THE END OF ATLANTIC AVE. ALMOST 10 ACRES. SINGLE FAMILY COURT YARD ESTATE WITH SWIMMING POOL, APPROX 5,000 SQ FT. WORK SHOP, 28 STALL BARN AND 4 MOBIL HOMES. 1400 FEET OF ATLANTIC FRONTAGE. UNLIMITED POTENTIAL." 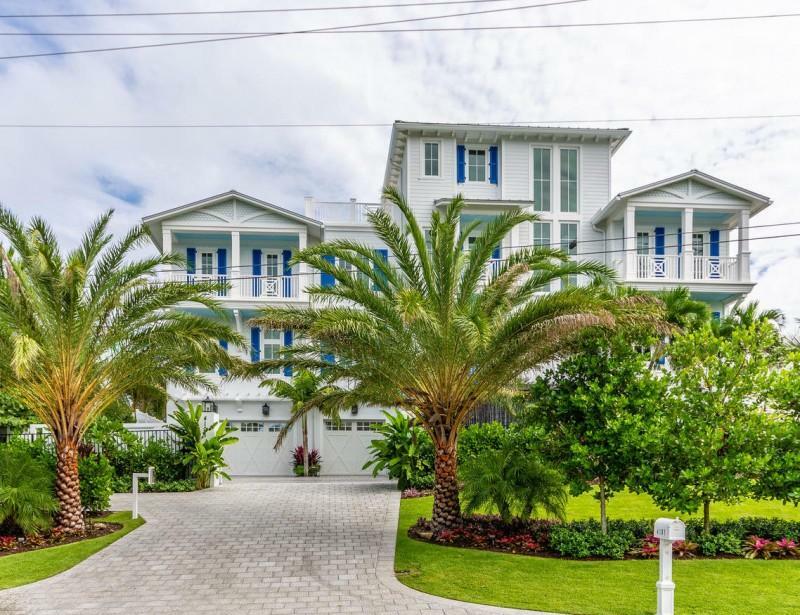 "Key West style with old Florida charm! 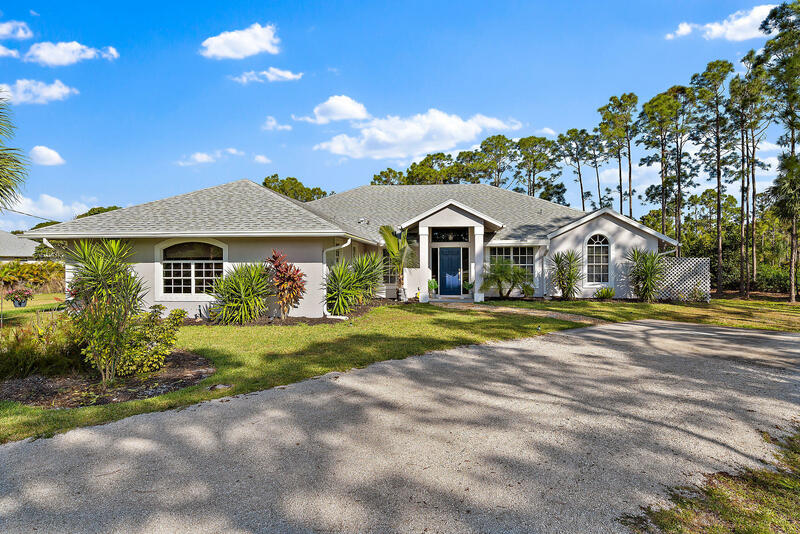 Enjoy wide, water views of the wild and scenic Loxahatchee River from this 3BR plus den/3BA home, situated on a 3/4 acre home site! Features include a small 1 bedroom guesthouse, pool and private dock. Straight shot to the Jupiter Inlet by boat!" "Exceptional Value! This private Beachfront property is situated only a few minutes away from some of the most sought after resorts in Placencia and is just a 10-minute drive to Placencia Village. This magnificent home is set in a beautiful treed 3.5 acres with foliage separation and distance from the main road. 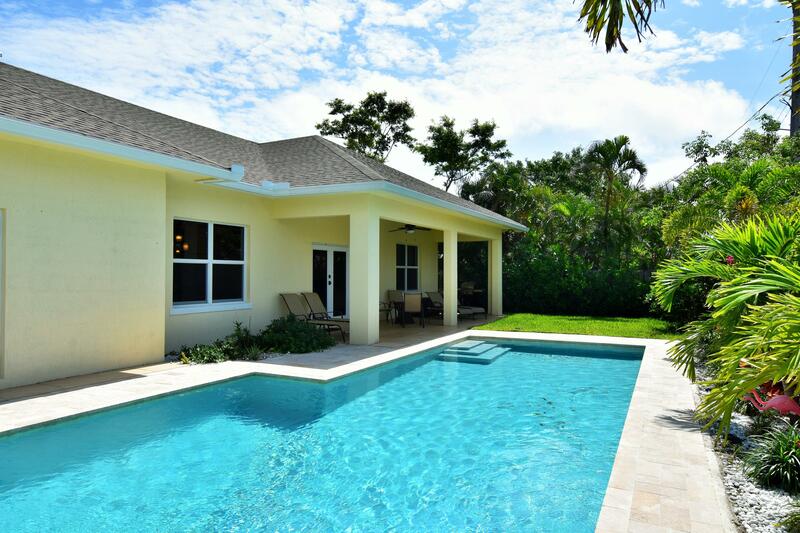 The home offers spectacular views of the Caribbean Sea from every room of the house. 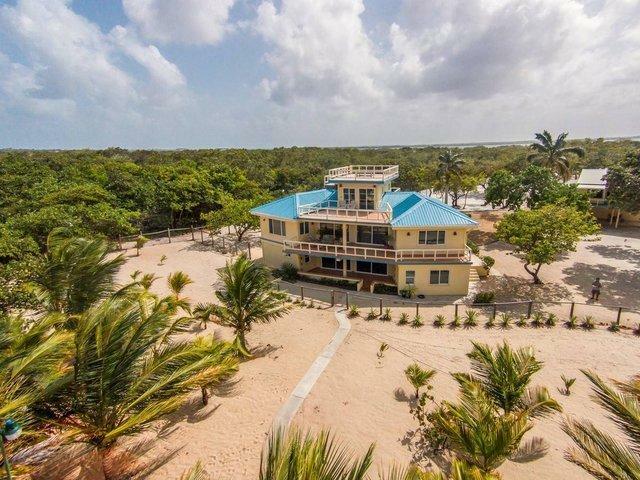 With 195 feet of sandy beachfront by 796 feet leading all the way to the paved peninsula road, this property offers plenty of space for privacy and exclusiveness. Designed with architectural style, the home encompasses 5,000 square feet set out on 3 levels and includes 3 bedrooms and 3 bathrooms. The entryway features a covered porte cochere entrance from the garden through double hand carved en"
"A truly extraordinary and exquisite mini mansion situated on 2.25 acres. 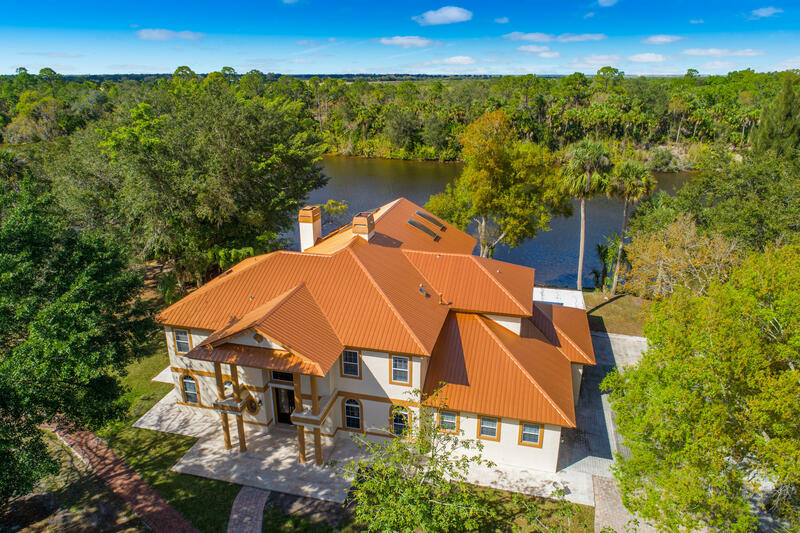 Located on the Okeechobee Waterway, this setting provides the discerning buyer serenity and a country retreat. From the elegant foyer boasting high ceilings to the marble stone rich fireplaces and travertine floors throughout the entire home, no expense was spared. This luxury and sophisticated estate home has been completely renovated and is a masterpiece of design, craftsmanship and art. A gorgeous 37 x 27 room was added with a 28' wood ceiling, 4 skylights, and a custom built stone fireplace. Enjoy a magnificent master bedroom suite with a fireplace and a balcony overlooking the waterway and a his and her master bath. A gourmet kitchen with top of the line appliances will delight any chef." 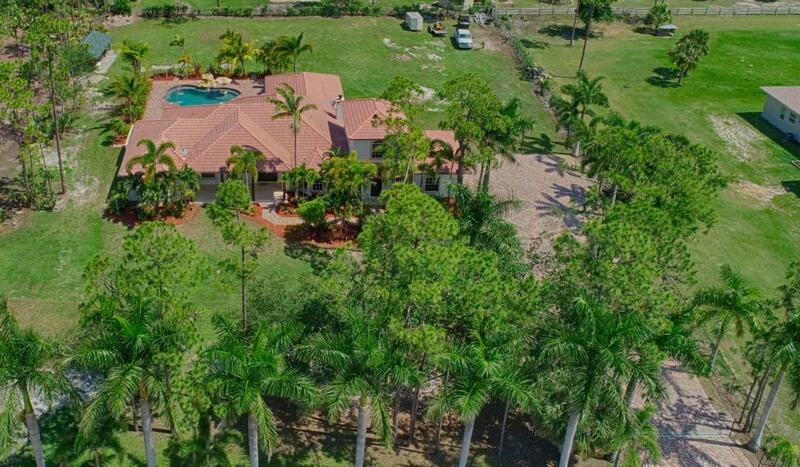 "Welcoming and updated house on over 5 acres surrounded by polo fields and high end equestrian properties. Well located, close to all of the equestrian activities! The house has 2 bedrooms and 2 baths with impact windows throughout, renovated kitchen with stainless appliances, screened-in patio with roll-down hurricane doors, large outdoor kitchen, and a gorgeous deck for entertaining. The house also has a newer AC and water system. The property has 2 wells with an irrigation system and is fully fenced with an electric-gated entrance. There are lovely, mature trees throughout the property. The property is currently an operating nursery business- the nursery business is also available for sale." 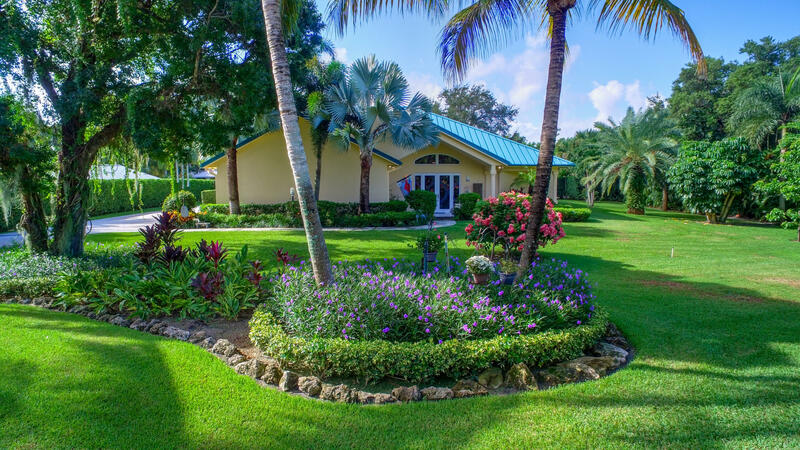 "EXCLUSIVE AND RARE ONE OF A KIND 2.5+/- ACRE GATED EAST DELRAY BEACH HOME. 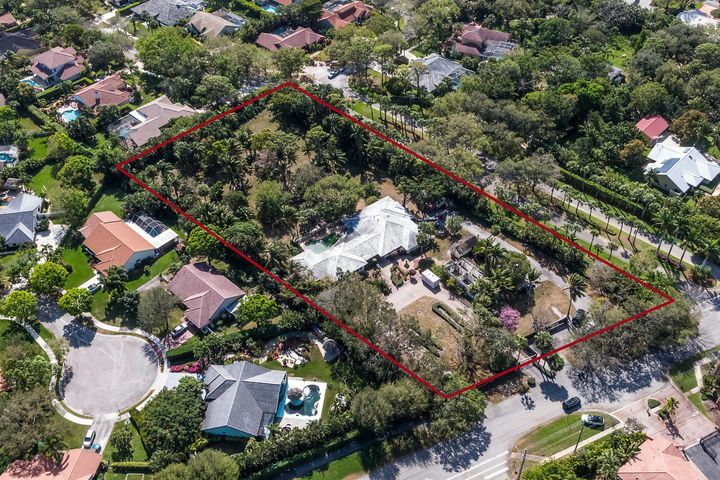 THE POSSIBILITIES ARE ENDLESS FOR THIS UNHEARD OF TYPE OF ESTATE THAT IS ONLY A FEW MILES FROM DOWNTOWN DELRAY AND THE BEACHES! PARTIAL RENOVATIONS INCLUDE NEW MARBLE FLOORING, IMPACT WINDOWS, AND A NEW KITCHEN. WHAT WAS ONCE A GUEST HOUSE CAN BE REBUILD OR MADE INTO A MAN CAVE, EXTRA GARAGES FOR THE AVID CAR COLLECTOR, OR POSSIBLY STABLES FOR THE EQUESTRIAN. 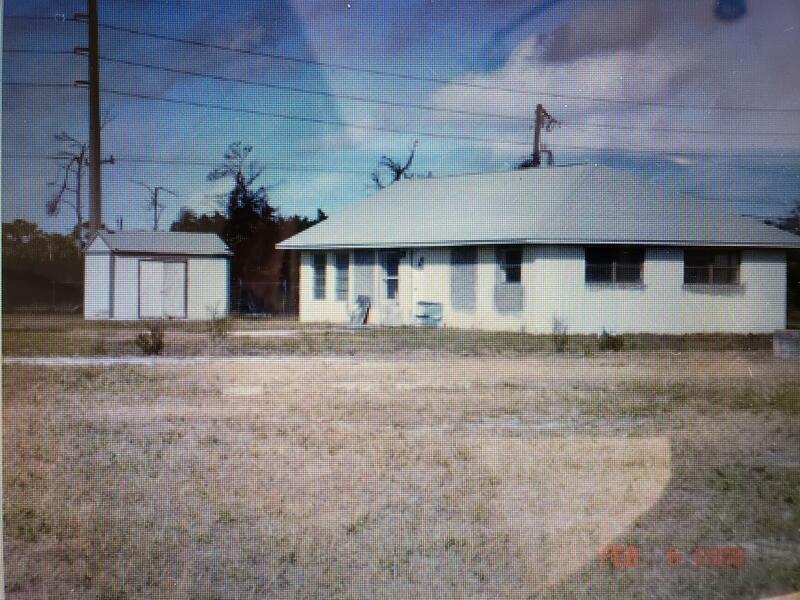 THE PROPERTY HAS 3 ENTRANCES - 2 TO THE MAIN HOME, AND THE 3RD IS A SERVICE ENTRANCE ALL WITH ELECTRONIC GATES.THIS PROPERTY ALSO HAS THE POTENTIAL TO BE SUBDIVIDED INTO 4 LOTS FOR FURTHER DEVELOPMENT INTO 1/2 ACRE LOTS OR SMALLER, PLUS EXTRA 1/2 ACRE FOR PRIVATE ROAD AND TURN-AROUND - OWNER HAS BEEN TOLD THAT CITY OF DELRAY HAS ONCE APPROVED THIS !" 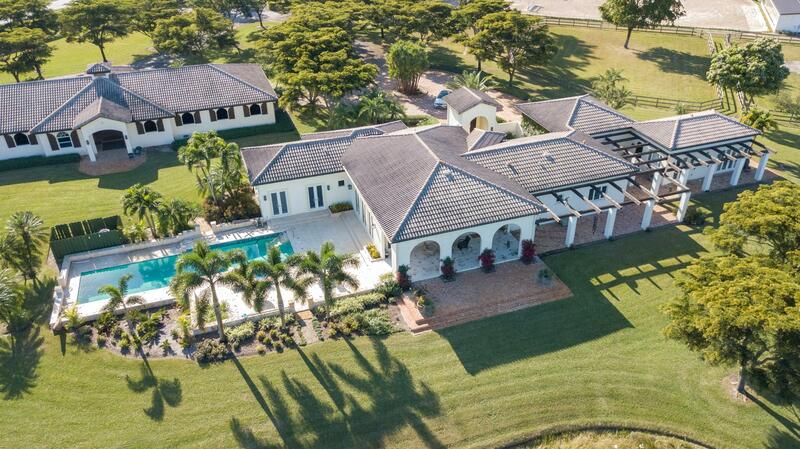 "Exquisite Gentleman Country Estate with over 80 acres. 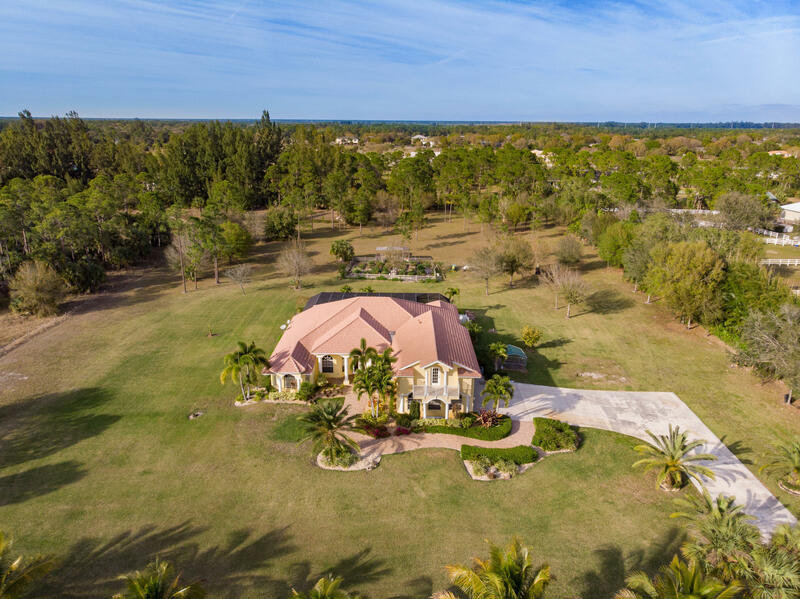 Live on a Luxurious Estate with Gated Entrance. Property completely Fenced and Cross Fenced. Main House with Wrap Around Porch has 4 Bedrooms and 4 Baths with a Screened Pool. Second House has 4 Bedrooms and 4 Baths. Horse Barn, Chickens, Geese and Peacocks. Numerous Paddocks for Horses or Cows. Private Pond with Island and Fountain. Paddocks for Horses or Cows. Large Warehouse Building with Parking for RVs and Boats. House has a Two Car Garage and there is another Equipment Garage with Additional Parking. Beautiful Landscaping with Gardens, a Generator, a Large Gas Storage Tank, Horse Barn, Paved Access, Gated Entrance, Circular Driveway, Large Bird House, Large Pond. The property has three wells with potential for a fourth." 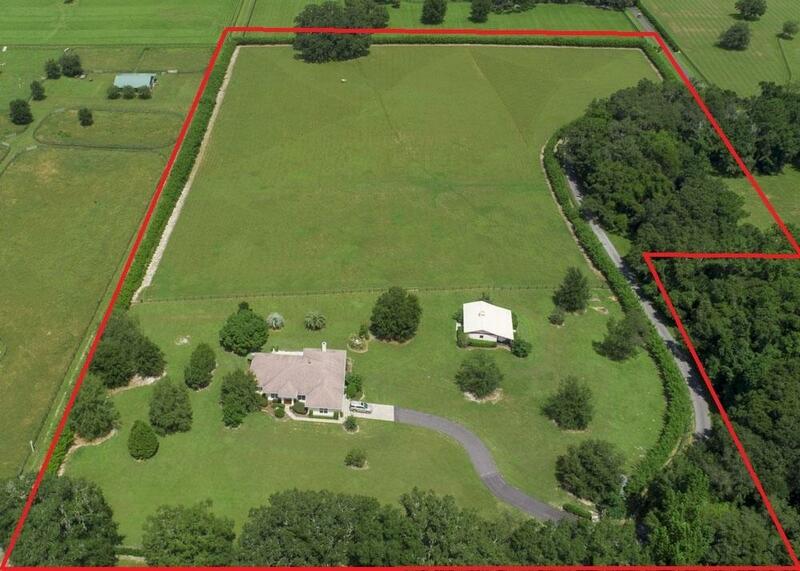 "Immaculate move in ready 12.54 acre farm with a barn,located close to the World Equestrian Center in the most coveted area of Ocala. Beautiful parcel of land fully fenced and gated. With stunning Grand Daddy Oaks and tons of privacy. House is fully equipped as a ''Smart'' home, so its perfect for equestrians that travel a lot for shows. 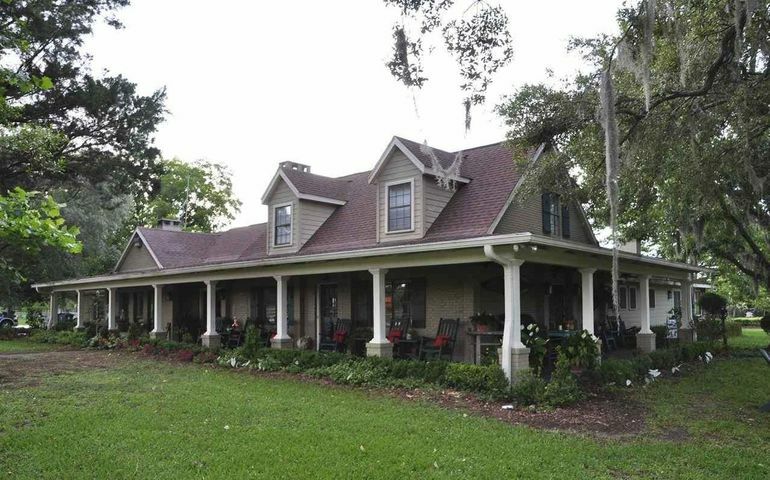 13.5 ft cathedral ceilings, fireplace, covered veranda , outdoor lighting, camera system throughout the property and barn, Illuminated Cupola, and energy efficient This farm will not disappoint!! Own a peace of heaven in the center of horse Country!! ! 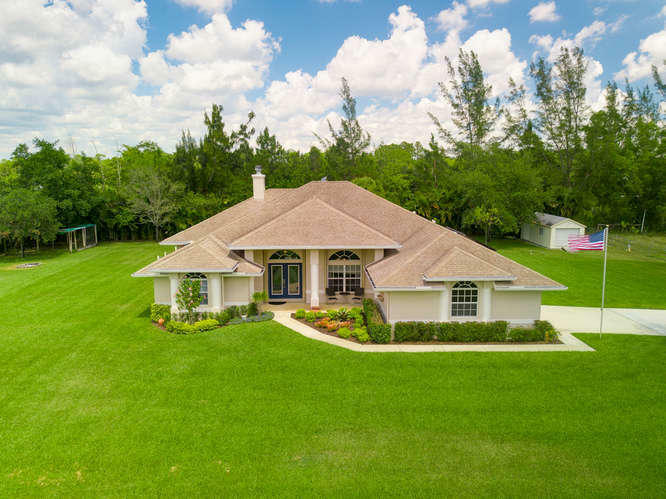 !Priced to sell"
"This beautiful 5 bedroom (+ office), 4 bath pool home in Loxahatchee has it all! Home was built in 2007 and has impact rated windows & doors. The kitchen has brand new stainless steel Samsung Chef Collection appliances and granite counters. Home has a formal living room, formal dining room and large family room with eat in kitchen. The master bedroom is extremely spacious with a large Roman tub and separate shower and dual his and hers sinks. There is also a 420 square foot bedroom with a full bathroom on the upper level with a private balcony! 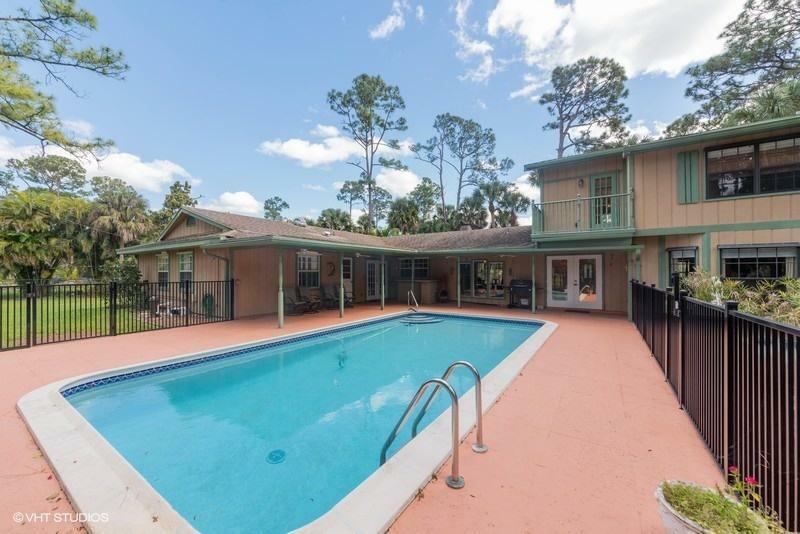 The screened in patio area is perfect for entertaining with a heated, salt water pool & hot tub. This 5 acre property is across the street from the equestrian White Fences community and is ready for you to build your dream barn!" "Only for sale with 13750 Old Prosperity Farms Rd. This is a .56 Acre, 2004 custom built home with handicapped doorways and open spaces. Must be combined with sale of 2.56 Acre, 13750 Old Prosperity Farms Road property, RX-10268646, listed at $6,000,000. The home features extremely spacious rooms, open concept living areas and all en-suite baths. 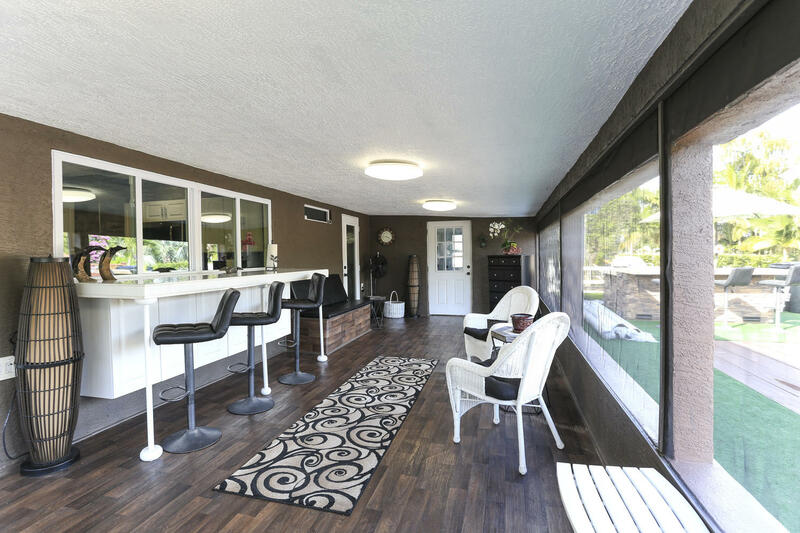 Custom appointments throughout include 2 Zone A/C, central vacuum, solid wood doors, master bedroom office area, closets with auto-lighting, built-in ironing board and ''Drip/Dry'' in laundry room and so much more. There is a whole house generator, impact windows and doors & plush landscaping. 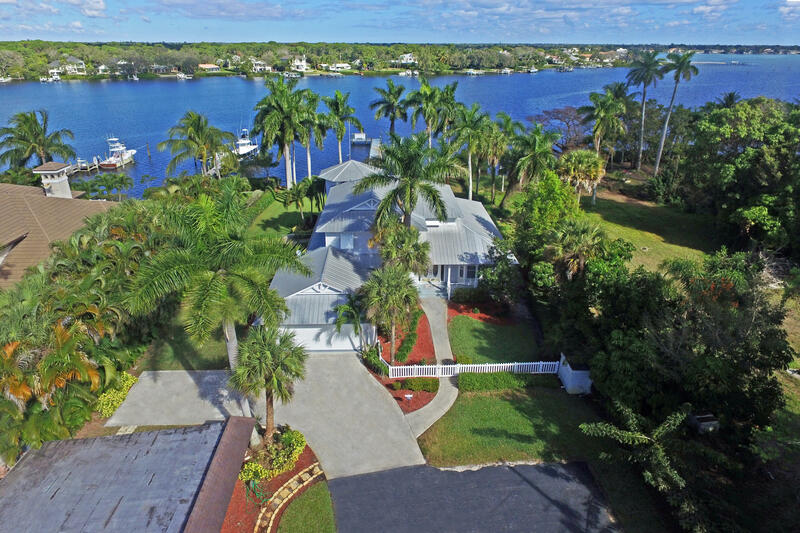 Great home for in-laws, boat captain, caddie's family & guests." "When only the best will do, this stunning custom home sits on 1.52 fully fenced acres. With top quality finishes throughout, this 5BR/3.5BA PLUS Office/Den/Media Room includes a Loft and 2.5 oversized garage is sure to impress. TONS OF UPGRADES!!! This gourgeous home features oversized bedrooms, A HURRICANE SAFE ROOM, wood burning custom stone fireplace, granite counter tops with 42'' cabinets, SS appliances, range, dryer and water heater are run off of gas, 30 X 44 Pebble Tech pool with theraputic jets, sit in wet bar, umbrella's geyers, rock water fall...the list goes on and on. 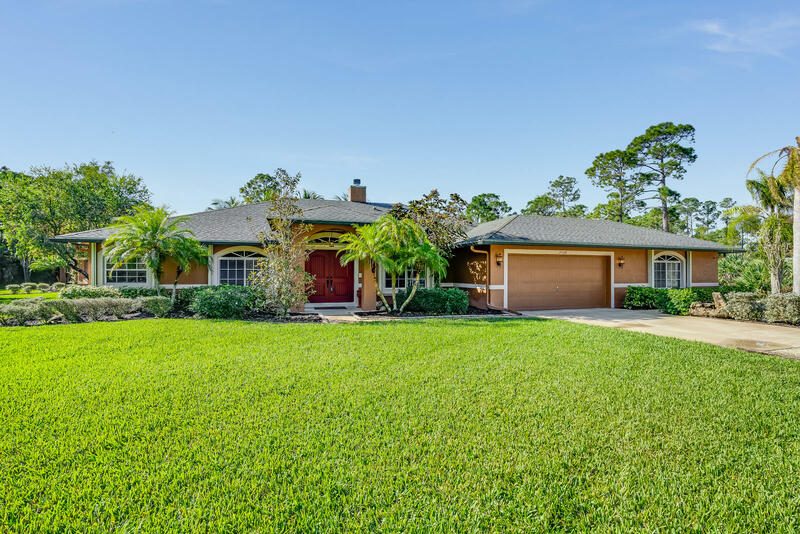 Freshly painted inside and out, security system motion lights, electronic remote control entry gate, 3 A/C units (2 are new-2018) 2 water heaters (1 is tankless) 2 new water pumps (1 for house/1 for sprinkler"
"Fabulous Location in Palm Beach Gardens! Just (2) doors from the intracoastal waterway. Large private approx. 0.4 acre lot, with mature tropical landscaping. Being offered fully furnished and turnkey as owner is currently utilizing as an income producing short term accommodations property (via Airbnb and VRBO). This would make a great private residence as well. Features include an updated kitchen with granite countertops, large social bar, lofted ceilings with skylights, open design, private pool, large covered patio and more. Municipality is unincorporated, which gives you many options both as your primary home or as investment property. Large lot allows for the addition of more living space, your boat, RV and more. Close to all the area has to offer. Super quiet, safe neighborhood!" 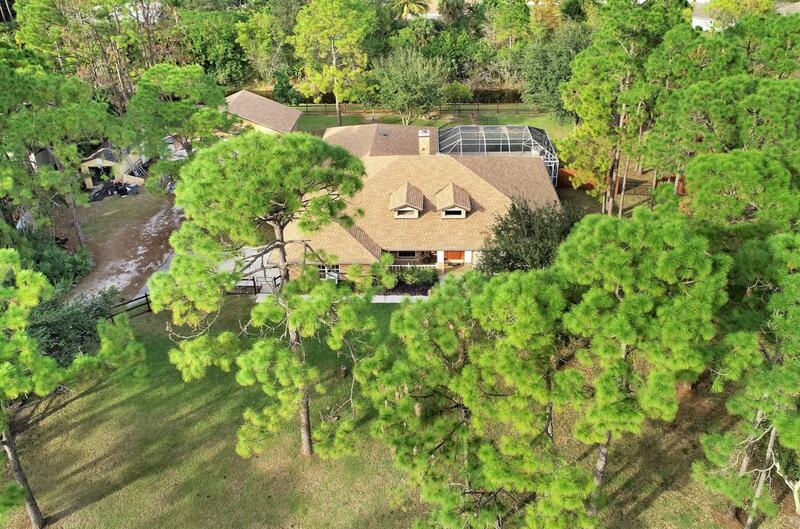 "Seeing is believing...5 BR PLUS Den, 3.5 BA, 3 CG POOL home sits on 1.19 acres. This 3,180 sq ft beauty boasts 2 master bedroom suites. Property is on a paved road and is the Aruba model. Pull up under your porte cochere, walk through your etched glass double doors into your foyer with 13 ft ceilings and lots of columns and the view of the gorgeous pool with a jacuzzi spa. Home has a large open 3 way split floor plan with tile and wood through out. Kitchen graced with granite counter tops, an island & separate bar top for plenty of family and friends. Includes, surround sound system outside, built in security system, country kitchen with 48''X 32'' hibatchi grill, and a 16'X 10' island bar. Don't forget the pets....there is a large fenced yard for them to play in!" "Nothing but the best! This magnificent custom built, 3,290 sq ft, country style estate home is nestled on 1.29 lush acres. The main part of the home has 4 BR/2 BA. The In-Laws area has it's own entrance, 1 BR/ 1 BA, a living room and media/craft room. Main house has a 2 car garage, but the added bonus is... a DETACHED 3 car garage along with 3 aluminum covers (24 X 12, 22 X 20, and 26 X 12) for your boats, campers or ATV'S. Real wood floors through-out main area, real maple wood cabinets high vaulted ceilings, 2 dormers for extra lighting, gas & wood burning slate stone fire place with 3 way views, screened in 35 X 15 pool, NEW ROOF (1.5 yrs old), fully fenced yard (west gate being electric/remote). This home offers so much more, so come by to see it today before it is gone!!" "NEW CONSTRUCTION in trendy Southend West Palm Beach area! Outstanding opportunity to buy this 3/2/2 custom home w/ saltwater heated pool, located on a beautifully landscaped, spacious corner lot. NO HOA give you freedom so you can park your boat, pick up truck... Conveniently located within walking distance to the Intracoastal, minutes from Ocean, West Palm Beach Downtown, CityPlace, WPB Airport... Beautifully equipped kitchen, finished with granite counter tops, stainless steel appliances, wine cooler and more. Many upgrades like over 9 ft high ceiling, central vacuum, Hurricane Impact windows, Alarm system, zoned sprinkler system controlled thru Internet... The circular driveway give you plenty space for parking. Furniture negotiable. Great investment as well, call me for details!" 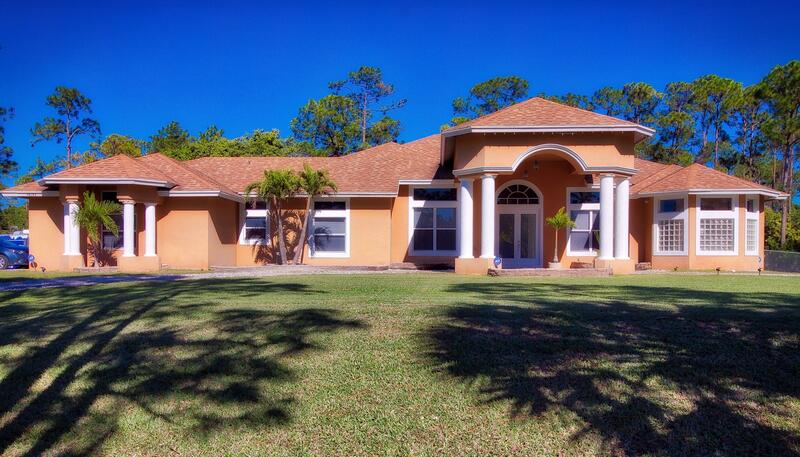 "Magnificent, true 4br/2.5ba home on peaceful, fully fenced 1.15 acres with lots of tropical plants. No HOA. Centrally located in town and close to PBI airport, Turnpike, Wellington Mall & PB Outlets. Home boasts large 1st floor master bedroom & bath. Bath has private toilet, walk-in shower and tub. Updated kitchen with granite counters & large pantry.Wood burning fireplace, 2 dining areas, 2 sets of French doors leading to covered patio and in-ground pool. Relax in the second floor family room loft which has wood floors, a wet bar, beverage fridge & balcony overlooking pool. Screened front porch. Plenty of room to park your RV or boat. Electric entry gate. Large shed/workshop. Irrigation is off a well. Garage converted to additional air conditioned living space for workout room and"
"Must see single-family home located in The Acreage. This beautiful fully renovated 4 bedroom 3 bathroom property sits on a expansive 1.37 acre lot that has been raised and fenced in. The roof, air conditioner, and water softener system were all replaced within the last 2 years. The pool and patio was an addition the current owners made within the same time frame. The wood tile used is both exquisite and durable. A beautiful shed that can be converted to a living space was professionally installed to code and can withstand hurricane force winds. The rear office can easily be converted to a 5th bedroom or in-law suite. Schedule a showing today." "Fantastic investment opportunity. Two duplexes on one property that are both 2BR/2BA + 2BR/1BA. 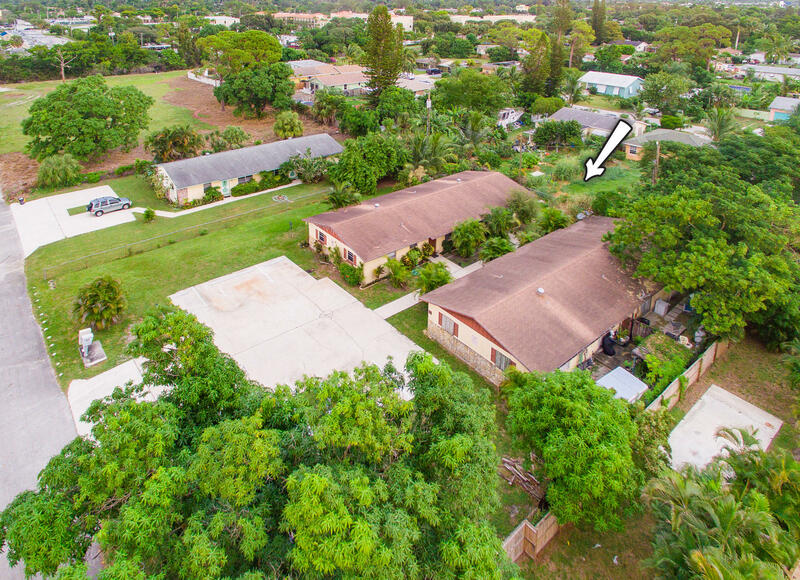 This well maintained fourplex is located on a quiet dead end street in the Lake Worth corridor. The duplexes in this area rent out very quickly. Each 2/1 could be rented for approximately $1100/month and each 2/2 for $1,300/month. Each unit has a tenant that has been there for many years, and no tenants are on a lease. Both buildings have hurricane shutters. This fouplex can be purchased with the duplex next door (4238 42nd Ave S.) as both properties have the same owner. 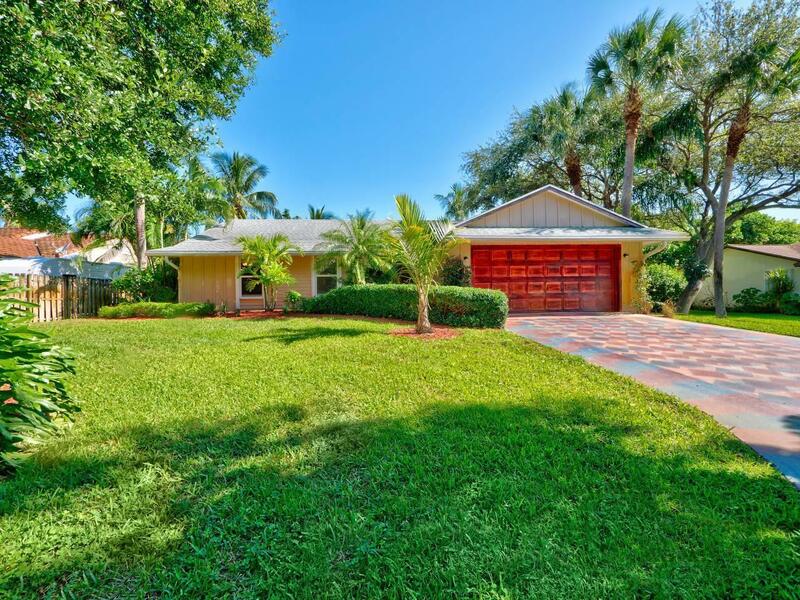 Just minutes from parks, City Place, Clematis, the Turnpike and I-95, Tri-Rail, numerous malls, The Kravis Center, Palm Beach State College, Palm Beach International Airport,"
"Single Family residence newly renovated on 5.83 acres. Entire property is enclosed with fencing."